Have you ever visited a website and interacted with the site’s virtual assistant (a.k.a chatbot)? For every question you pose there is a scripted answer that the chatbot retrieves from its knowledge base to provide you with an answer. Have you ever wondered what happens behind the scenes to get you that answer? Content writers like me work with the chatbot developers to create the scripts so that the chatbot can answer your questions. Now, no chatbot will ever be able to successfully answer 100% of the questions posed, but the informal industry benchmark is 80%. I have been lucky in the last 18 months to work on two chatbot projects. One writing content for a university chatbot answering student questions ranging from applying and accommodation to what is available on campus. Another one I am still working on is a chatbot for a government department helping people/businesses learn more about available funding. This type of writing is perfect for me. When I was at uni I often had trouble making essays fit the longer word counts. 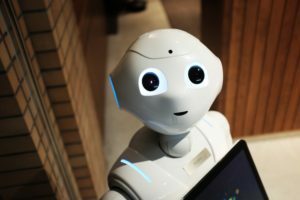 I am not a waffler (maybe when talking but not when writing), I like to write the most information with the least amount of words, which pretty much sums up writing for chatbots. Providing the necessary information in as few words as possible. Plus, as a consumer I don’t like to read two paragraphs of information before I get to what I need. We live in a era where we glance at webpages, very rarely reading every word on the page; rather we want easily digestible information that can be easily found. In my next post, I will include tips for writing chatbot content for anyone thinking of creating their own bot.